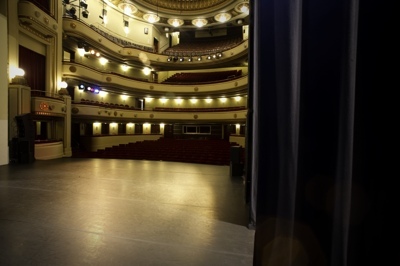 Embark on a lively guided tour, taking you from the scellars, the dressing rooms, the make-up room, the stage, the control booth, the orchestra pit ... to our somptuous foyer. And for some highlights in our 150 years of existence, there's the wonderful expo on the main stair case. If you like to visit us with a group, we'd love to set an appropriate date. It's best to make a reservation at least one month in advance. We only use your personal data to answer this application.